Today, Jake is 17 Weeks Old. I really can't believe that my little man has been with us for 17 weeks - and yet, in some ways, it seems as if he has always been here with us. 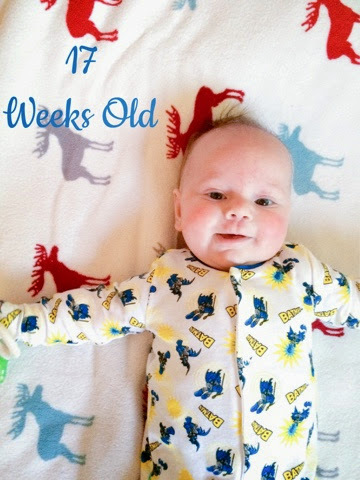 Gorgeous photo - happy 17 weeks Jake. Time really does fly by with little ones!